The 65th Eureka World Invention Exposition was held successfully from Nov 17 to 19, 2016 in Brussels. The new year resumed, and everything updated. The 7th China IP International Annual Forum & 2017 Annual Conference of In-house IP Managers in China is under intense preparation. The 5th US-China IP Conference: Focus on "Intellectual Property and Economic Transformation"
Trademark registration system in China makes trademark registration much easier than before. The The sixth Business of Intellectual Property Asia (BIP Asia) Forum opened in December 1 at the Hong Kong Convention and Exhibition Centre (HKCEC). 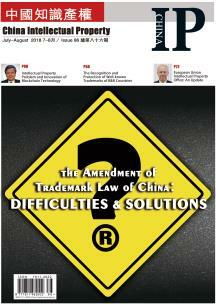 Assessing Novelty in China-Do Prior Art References Need to Be Enabling? Jurisdiction is the prerequisite and basis for the trial. If the jurisdiction is imperfect, it will inevitably hinder the improvement of trial quality.